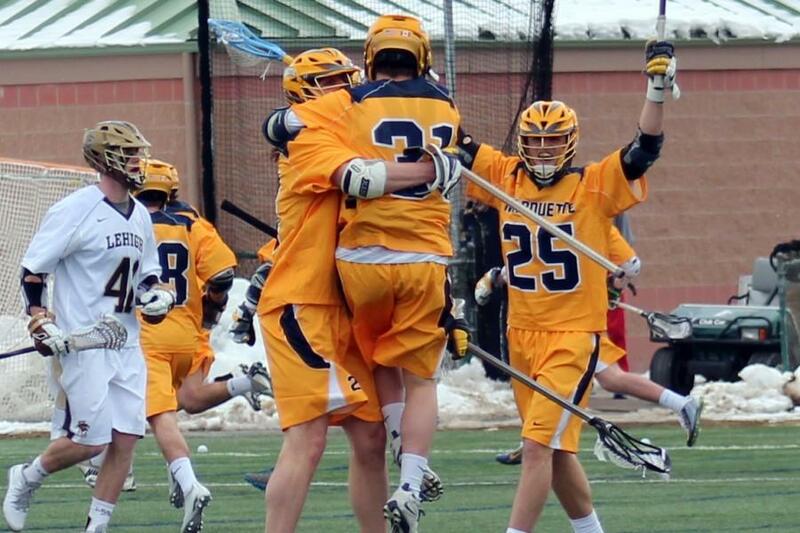 Last year was a historic step forward for the Marquette men’s lacrosse program. 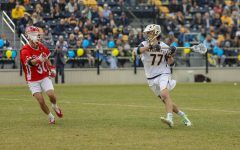 The team was thrust into the national landscape, and it was impossible to go a week without seeing the Golden Eagles and their trademark gold uniforms in a popular lacrosse publication. Marquette won its first seven games last season, including wins over Lehigh and Hofstra, both ranked at the time. 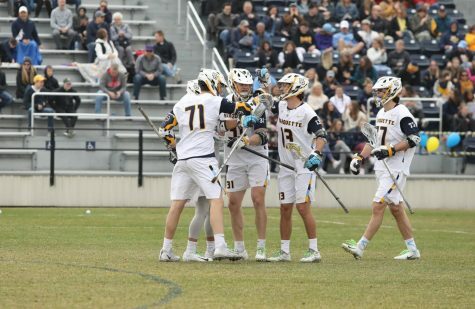 Marquette was featured in the Cascade/Maverik Media Top 20 for the first time, moving as high as No. 16. The Golden Eagles still didn’t reach all of their goals. 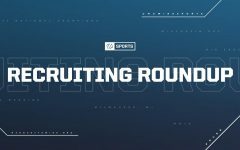 They didn’t make the NCAA Tournament and weren’t able to take down any of the big three teams which have become staples on the Marquette schedule: Duke, Denver and Notre Dame. Still, it’s safe to say the season was a success and a huge building block for the program going forward. The team of former underdogs is now in the spotlight. 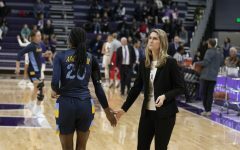 Marquette is ranked 22nd in the media poll as it starts the season, and many expect the program to continue its ascent. The next step for the team is clear. Based on last year’s result, it’s a fair forecast. 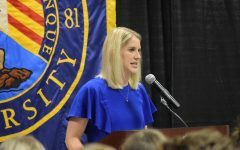 If not just to continue the progression, Amplo feels added motivation to win this year as a tribute to this year’s senior class, the first group that has played four years with the program. The journey to the tournament starts with an unsettling reminder of what could have been last season. 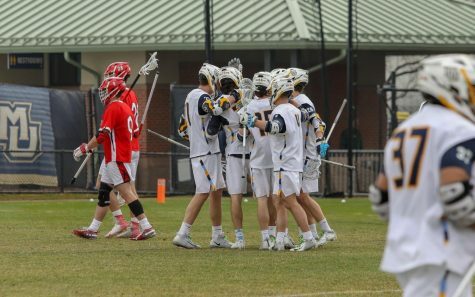 Marquette opens the season against Bellarmine Saturday, a team that arguably ruined its bid for an at-large bid last year. 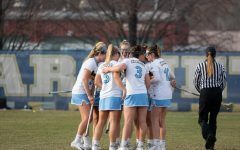 Bellarmine opened their season last weekend, barely hanging on for an 11-10 victory against Robert Morris despite scoring the first ten goals of the game. Senior Dylan Gatt and junior Jack Perkins scored three goals each. Win or lose, this weekend’s game will be another historic landmark for the program — it’s the first-ever game on campus. The game will be held on the middle field at Valley Fields, where bleachers were installed last week. Replacing Jordan Greenfield’s team-leading 34 goals last season will be a tall task. 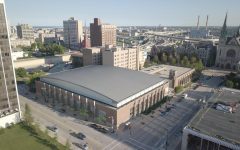 Marquette’s strategy will likely be scoring by committee. Senior Conor Gately and junior Kyran Clarke are the veteran leaders of the attack unit. Gately, the team’s all-time leader in points, was on the Tewaaraton List (NCAA MVP finalist) last season. A 2016 BIG EAST preseason first-team member, he scored 25 goals and 14 assists in 16 games last season. Like Gately, Clarke started all 16 games, scoring 11 goals and 13 assists. 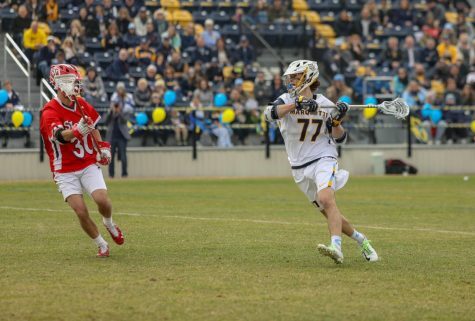 Junior Joe Dunn is still out with injury, propelling freshman John Wagner into the starting lineup. 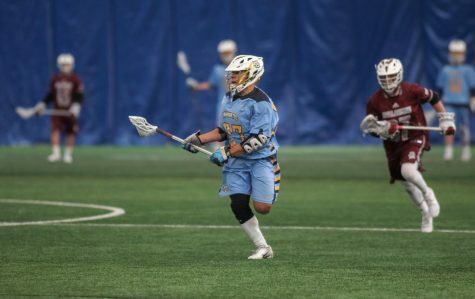 Wagner, a 6-foot-2 Canadian attackman, played high school lacrosse in Michigan, where he was a three-time all-state selection while at Cranbrook-Kingswood. He said getting three game experiences in the scrimmages has prepared him for his NCAA debut. 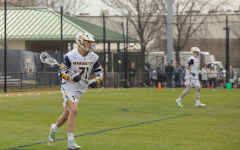 Offensive midfield is Marquette’s deepest position. 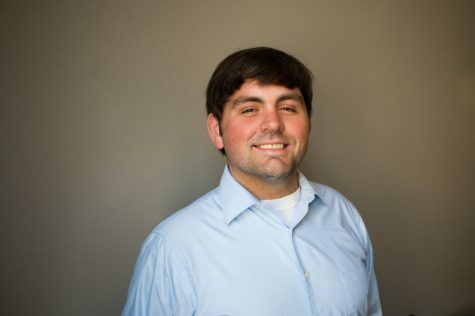 The starting unit will feature senior Kyle Whitlow, senior Blaine Fleming and junior Ryan McNamara, but Amplo said the team can go seven or eight deep. 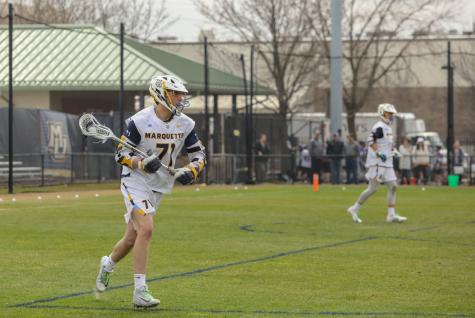 Junior Andy DeMichiei, junior Robbie Pisano, sophomore Tanner Thomson, senior Henry Nelson and senior Brett Hornung give Marquette many moving parts to play with. 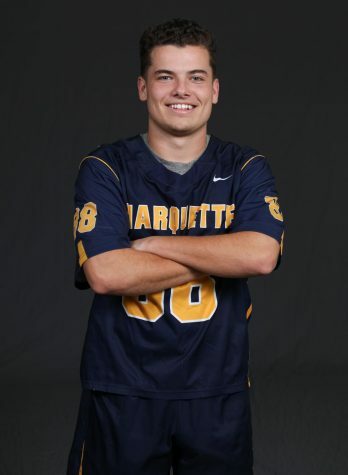 MLL draft pick Jake Richard is the anchor of the defensive-middie unit. He’s one of the best players in the country at his position. 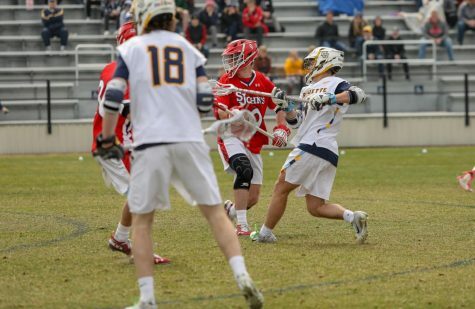 He was tied for the team lead in ground balls with senior Liam Byrnes last season. Senior Zach Barr and junior Noah Joseph have the most experience of the rest of the group. Both played in all 16 games last season, picking up 15 and nine ground balls respectively. How the defense is situated is largely based on where BIG EAST Preseason Co-Defense Player of the Year Liam Byrnes is positioned. 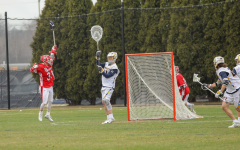 Normally a long-stick midfielder, Amplo moved him to close defense in the scrimmages and practice. B.J. Grill is a lock to start. Junior Nicholas Eufrasio has worked his way into the rotation, starting in the last scrimmage in place of the incumbent redshirt senior Dan Mojica. Eufrasio made two starts last season against two of the toughest opponents on Marquette’s schedule, No. 6/6 Duke and Georgetown. 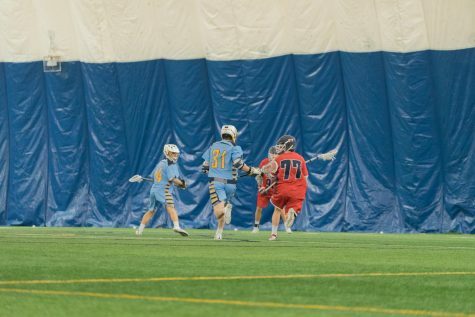 Mojica will also be getting serious time, and could be in the starting role this weekend due to Bellarmine having one of the best long-stick midfielders in the country, Bobby Schmitt. Playing Byrnes at LSM might be a necessary matchup. If Byrnes is at close defense, senior Tyler Gilligan will play LSM. Redshirt freshman Jordan MacKenzie is out with a serious knee injury. When last year’s starter K.C. Kennedy graduated, the door opened for a new faceoff specialist. Sophomore transfer Zach Melillo could get serious playing time. 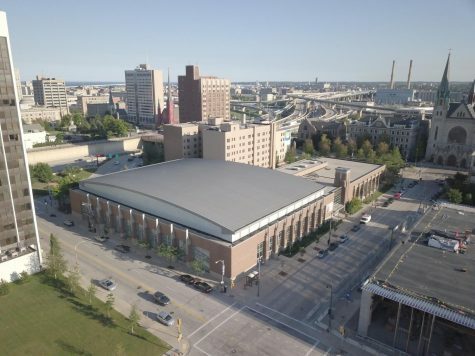 His 45 percent win percentage last year was better than returners Owen Weselek (44 percent) and Gryphin Kelly (43 percent), and moving from a winless NJIT team to Marquette should boost his numbers. Amplo was impressed with his play against Cornell. Danaher held on to the starting goalie position, fending off challenger sophomore Cole Blazer with strong play in the preseason. 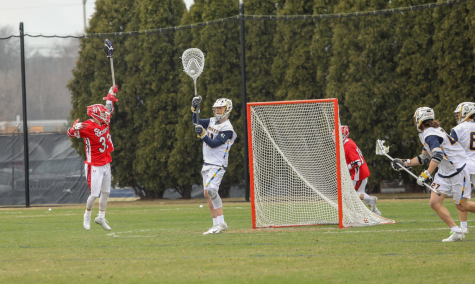 Danaher started all 16 games last season, posting a .503 save percentage and a 10.35 goals against average. This summer Danaher kept the same training schedule that helped him improve his numbers the season prior. He’s still looking to improve aspects of his game to help take the team to the next level.